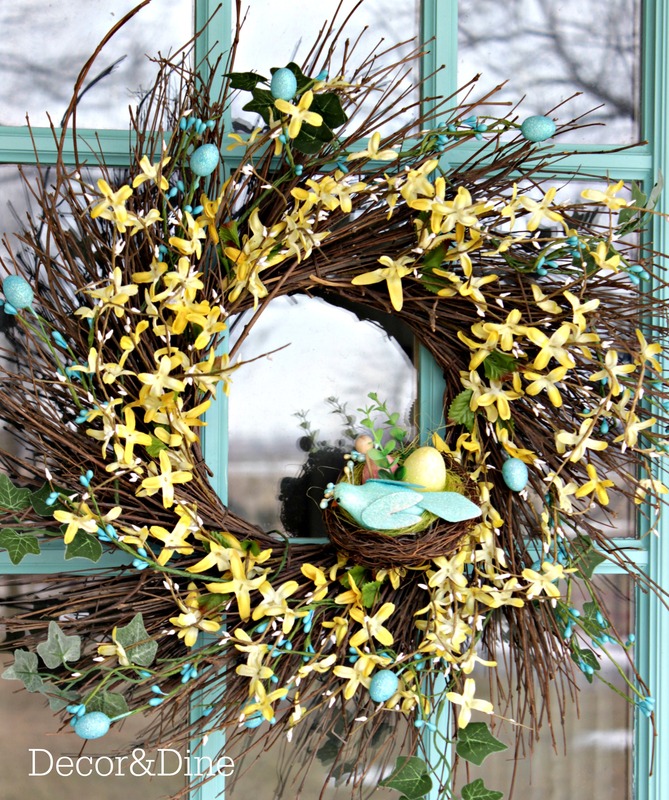 The snow is melting, the sun is shinning and Easter is just a few weeks away… time to change-up the wreath on my front door. 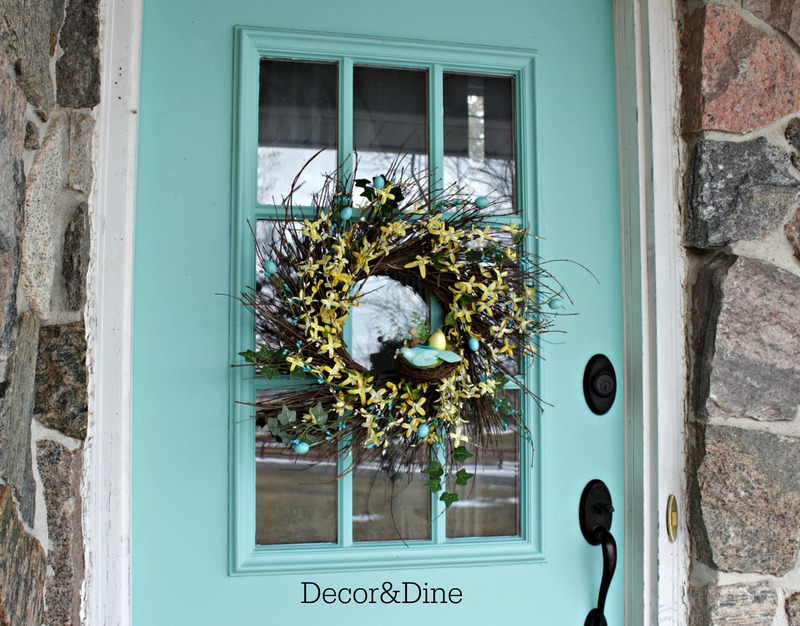 How’s your front door looking? 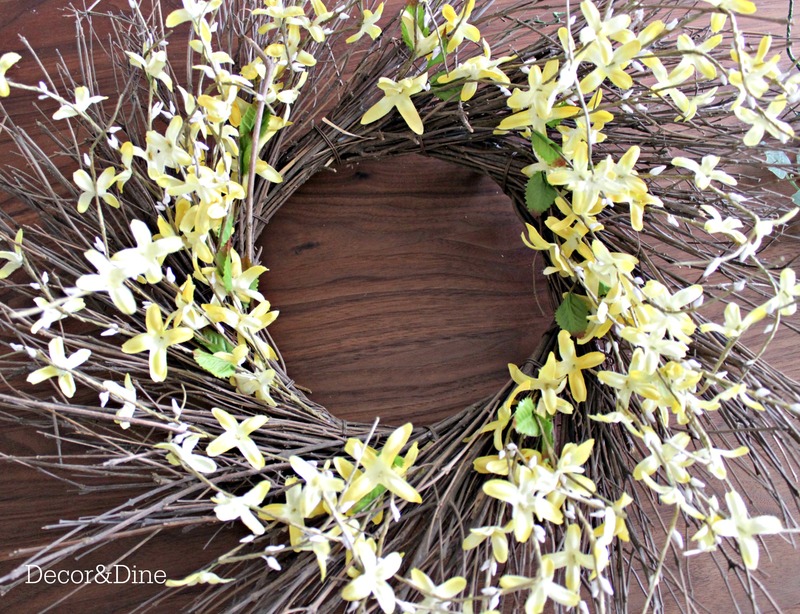 It can’t get any easier than sprucing up an old inexpensive forsythia wreath. 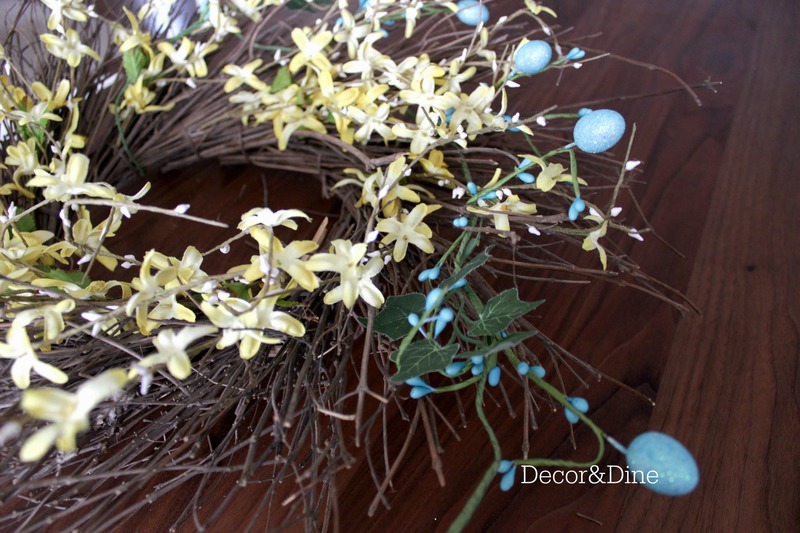 This twig wreath with forsythia is quite simple, not too full, making it perfect to embellish. 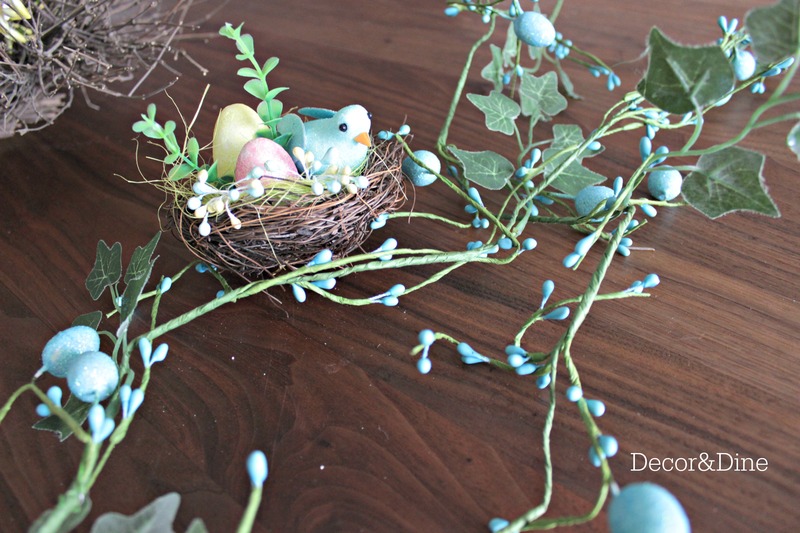 I picked up a bird’s nest and a small Easter egg garland from the Dollar Store…in my favourite colour of course. Start by fastening the garland to the back of the wreath, the garland is wired making it super easy to manipulate. 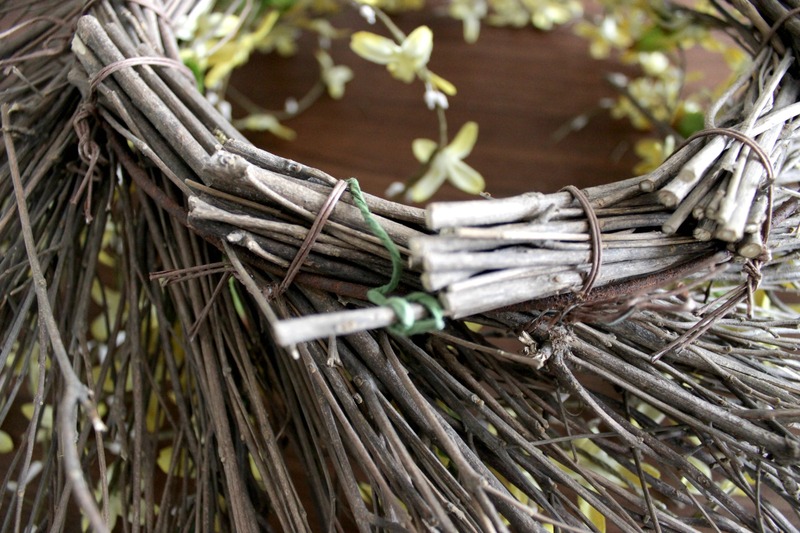 I worked the garland around the wreath by simply tucking it in behind some of the twigs. 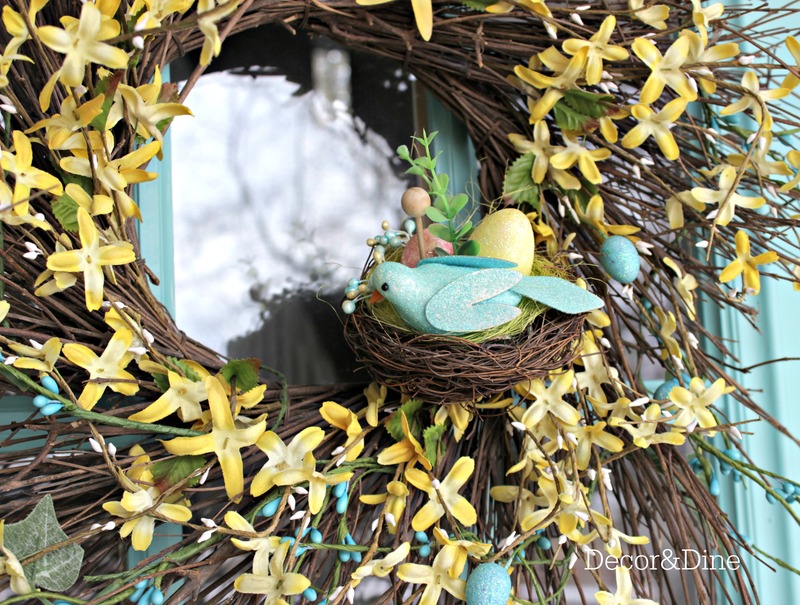 The pretty bird’s nest sits on the wreath…fastened with some wire. I am so looking forward to sunny warm days and more Spring decorating! Thank you Brenda. Have fun at the Dollar Store, your wreath will look amazing! Beautiful wreath! 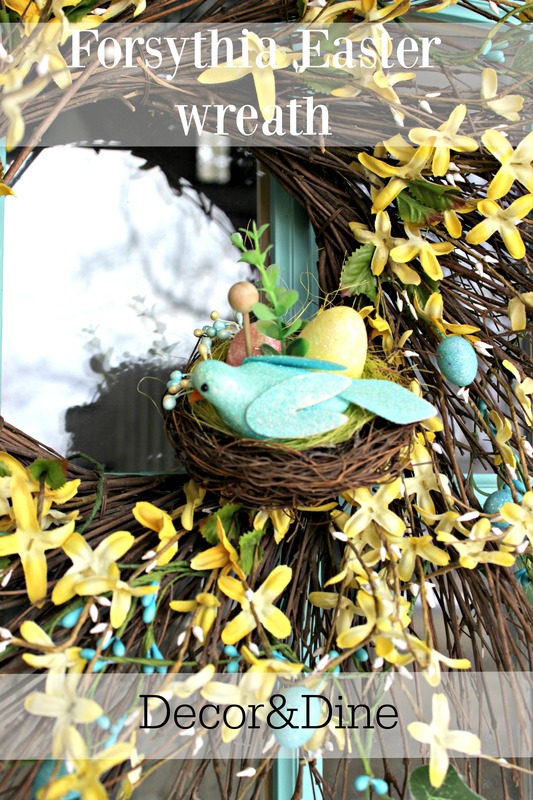 I made the forsythia one last Spring and I will go to the Dollar Store tomorrow for nest and garland! Thanks for your inspiration!! Thanks Gwen! I painted the door last fall and I really like it. Love your door color. The wreath pops!! And I never thought to twine the “Garland” from behind wreath. It makes it much more natural looking. I’m going to try!! Thank you so much Ines! Have a great weekend! I loved your wreath! So beautiful and delicate!